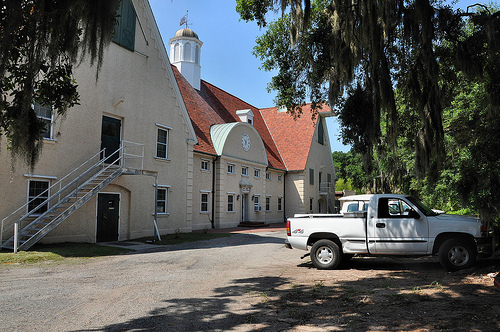 The main building housing the University of Georgia Marine Institute was once part of a dairy and farming operation overseen by tobacco heir Richard Reynolds during his residence on Sapelo Island. It seems out of place in the harsh environment of Sapelo, but Reynolds was a worldly man whose influences ran the gamut of style and function. 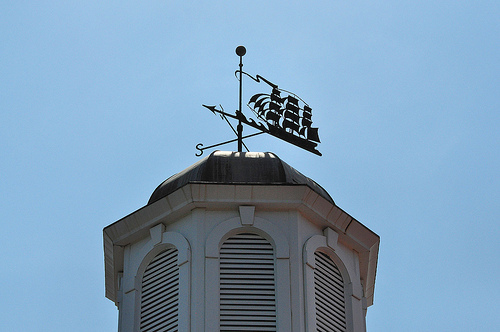 The weathervane (below) depicting a tall ship is one of my favorite features of the structure.